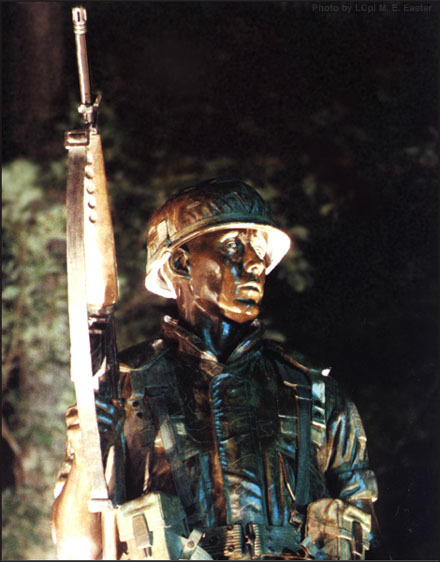 This Sunday, Marines will gather at the Beirut Memorial in Jacksonville, N.C., near Camp Lejeune to mark the day 28 years ago when 220 of their brothers were killed in a terrorist attack in Beirut, Lebanon. Also killed in the Oct. 23, 1983, attack were 18 sailors and three soldiers. It was a bright Sunday morning at 6:22 when a man drove a five-ton truck laden with more than 12,000 pounds of TNT straight into the base of the building and blasted the barracks into a pile of concrete under a sky-high plume of acrid black smoke. The Marines were in Beirut on a peace keeping mission, to help the Lebanese government establish security and stabilize their capital city. The monument in Jacksonville was dedicated on Oct. 22, 1988. There are memorials in several other states dedicated to the fallen. Visit the Beirut Memorial web site here. The Marines gathering this Sunday in Jacksonville said they’d love to see you there, too. Sometimes it takes a long time for God to avenge the death of our brothers, but the perptrators cannot hide forever. Vengeance is mine sayeth the Lord i shall repay.